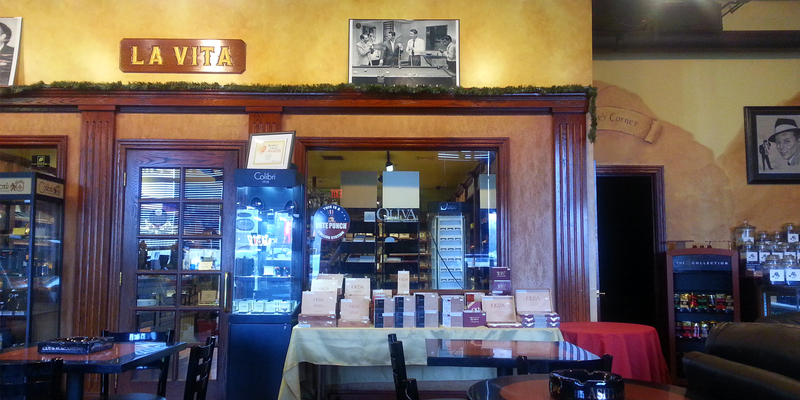 Welcome to La Vita Cigars! We are proud to offer a large walk in humidor, stocked with all of the top brand cigars and lots of boutique blend cigars. Come enjoy a cigar here in our large smoking lounge open to the public or rent out our private smoking lounge for a more intimate cigar smoking experience, a bachelor party, or just a small get together. We also have a wide range of pipes and pipe tobacco for you to browse through. Staying for a while to smoke that cigar? Enjoy a coffee while you are here. 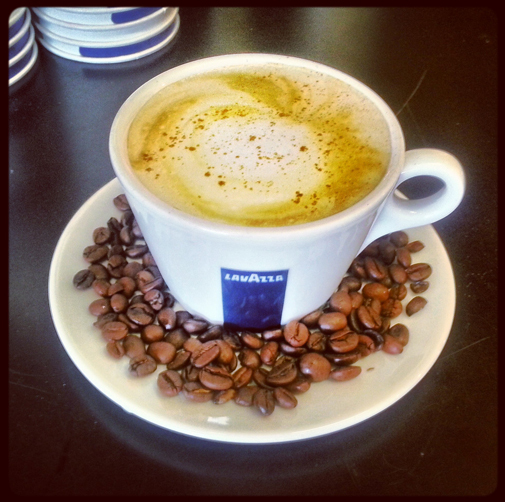 We serve LavAzza coffee. Choose from a standard drip coffee, or a quad shot cappuccino, or an iced sweet tea! With over 800 boxes of cigars to chose from, you’re sure to find what you’re looking for in our large climate controlled walk in humidor. We carry Arturo Fuente, Ashton, Davidoff, Camacho, AVO, Perdomo, ACID, Liga Privada, Alec Bradley, Oliva, Carlos Torano, La Aurora, Tatuaje, Padron, My Father, Illusione, Hoyo de Monterrey, La Gloria Cubana, Punch, Macanudo, CAO, Romeo y Julieta, Montecristo and many many more. We have a selection of over 40 different bulk pipe tobacco blends, 25 different tins of pipe tobacco, and various pouches of aromatic pipe tobacco. 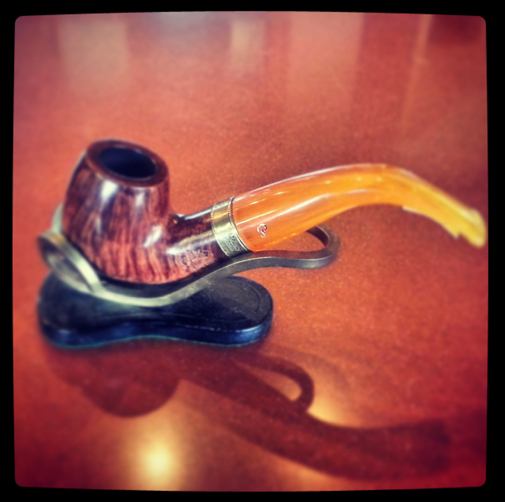 We also offer a range of pipes for the beginning pipe smoker up to the advanced pipe collector. Stocked with the finest accessories and tools any pipe smoker would need. Take a look at our bulk pipe tobacco menu here. Serving LaVazza coffee. Anything from regular coffee, to an espresso drink, to an iced latte. We have a production ready espresso machine to make it right here for you.